Looking for private in-home or in-studio Mandolin lessons? Our Casselberry teachers are ready to get you started. Find your teacher today! Check out some of our most popular teachers near Casselberry, FL including Orlando, Winter Park, Kissimmee, Oviedo and Lake Mary. 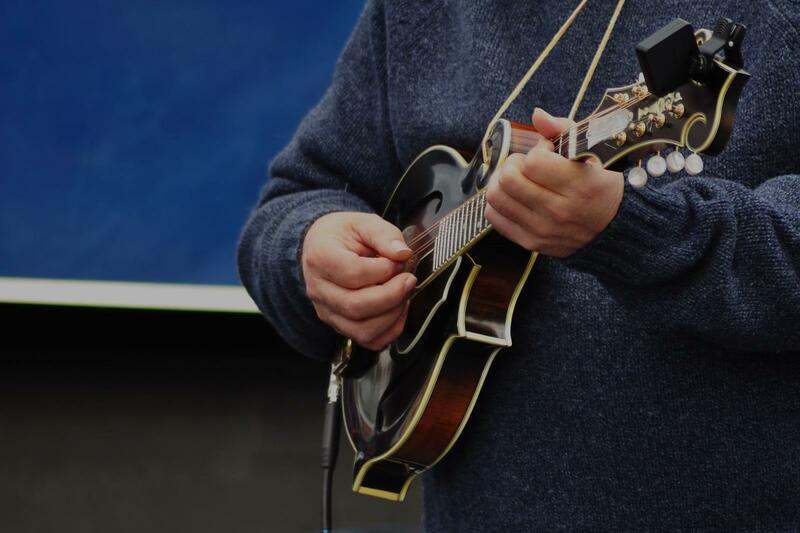 Learn the basic steps to playing a mandolin. learn the notes and a few chords. Typically the student will learn tablature as well as reading on the musical staff. I teach rhythm and picking techniques. Student must have their own instrument. Jill holds a Bachelor's degree in Music Education and has master's work in choral music and Orff-Schulwerk. For many years Jill has taught private and group music lessons to all ages with many varying styles of singing and instrumental music. Her lessons are unlike the ones she remembers from childhood; Jill's lessons are full of creativity, fun and excitement. It is amazing how students improve with each lesson. Jill brings more than just technique to the studio, she strives to find the best in each student and then concentrates on improving each individual's strengths and then delves into ways to correct the weaknesses. the lesson. With an instrumental and choral background, Jill brings music to life and then shares with the students how to keep music in their lives forever. Many students who had vocal problems have achieved vocal success after taking several lessons with Jill and learning to keep their voices healthy for the rest of their lives. Jill has worked with children, teens and adults in many schools, churches and after school programs that she designed. Her success with students who are very young or students who come with disabilities or autistic spectrum diagnosis are moved by the music Jill creates. With the help of the ORFF-SCHULWERK certification, Jill has many ways of reaching children through the use of instruments, rhythm activities, games and other fun ways of learning. Breaking barriers is Jill's best asset, she will not quit until the student has an understanding of the instrument or his/her voice. The young and the older adults find that taking lessons with Jill has brought them to a place of realizing their potential. Successful stories include pre-school age through students who are retired. The length of time one studies depends on the student's practice and diligence. Many students have started with Jill in preschool or elementary school and have continued through high school and college. Several college age students wanted to improve their singing or instrumental skills so goals were set and met through Jill's successful teaching ability. Several students learn music theory and many students have learned song-writing and creating arrangements. Many of Jill's students have become better musicians and a considerable number of students have chosen music professions for their careers. Multiple students have won contests, auditioned for parts in musicals, started local bands and have become songwriters and performers after taking lessons with Jill. Students have been successful in auditions, both locally and nationally. For instance, one student auditioned for American Idol and made it through several steps to the finals. Teaching a myriad of students from various places in the world who have come to the United States has been a great experience. The cultural differences makes the teaching of these students exciting since Jill learns about music in their own home countries. Some of the students are from China, Germany, Norway, Dominican Republic, Brazil, Colombia, Puerto Rico and many who moved to Florida from some other state in the U.S.A. What a joy it has been to learn to communicate with these students and to verify that music is a universal language. By special request Jill is available for online lessons through internet and devices as well as traveling to student locations when her schedule allows. Students interested in online or in-home lessons should send a message to her to request certain days and times of availability. Jill held the title "Steinway Pianos Concert and Artist Director" in Dallas TX in the 80's, working with Steinway artists and Dallas Symphony, Opera, Ballet and other events like planning pianos for Prince Charles' visit and many other concerts and events. Jill also performed in many Dallas venues as well as providing pianos for the Cowboys, the clubs, hotels, country clubs and museums including The Dallas Museum of Art. Jill moved to Florida to play with an all original Blues Band in 1992 and has been performing, directing and teaching since that time. "Plans fail for lack of counsel, but with many advisers, plans succeed. " (Proverbs 15:22) It is Jill's belief that with her teaching qualifications and past record of success with student achievement and great experience studying with wonderful advisers, teaching YOU or YOUR CHILD will be one of success! Jill's teaching technique is flexible. Some students require a stern and strict approach while others seem to work best with more creative license. Jill is open to each student's needs. When booking lessons with Jill, one will find that the first thing she will do is find out more about the student's needs and desires to succeed in their chosen instrument. Meeting goals are important in music and in life! Because of her flexible approach, method books vary depending on the student's need to succeed. Sometimes young students will need to review several beginning methods until their reading skills are achieved. For the young students, Jill teaches theory and gives the young students time during the lesson to explore musical symbols and try their hands at improvisation, rhythms, manuscripts and creativity. The student is responsible for the cost of materials used in class. Some students may desire to learn to play "by ear" or through improvisational skills. Jill is very good with improv and her song writing skills are strong. When a student desires to write music, Jill is there to help with questions about time signatures, note values, key signatures and transpositions. Many students have copyrighted their material and are successful songwriters! Taking lessons with Jill is a journey that those who have tried have not had regrets. Several parents and past students would be happy to tell you how their talents and gifts improved after working with Jill for a few months. After three months of working together, Jill will know how to pursue the student's musical career. After 6 months the student will be able to play complete songs and have a sense of basic music theory. The hope is for the student to be confident of their instrument's abilities and to have a list of repertoire for upcoming events in the student's life. Several of Jill's students have taken their skills, gifts and talents to the professional level. Students who have studied with Jill are professional music directors in high schools, middle schools, elementary schools, churches, soloists and some who are in school studying music as their major. Taking lessons with Jill will be something that will add value to the student's life forever because MUSIC is her life! Without music, the world would be a very dull place and individuals would be unhappy and depressed in every walk of life. Music brings out the beauty of creation and man's ability to skillfully play an instrument for pleasure or for one's occupation. I can provide my own equipment, but I expect the student to provide his/her own instruments and music stand. My specialty in voice comes from years of lessons and performance experience. Including solo gigs, bands and service performances such as parties, weddings, funerals, organizational roles, skills, clubs, recordings, hotels, country clubs, churches, schools and much more. She uses many methods, handouts and books to bring out various ideas to learn to sing correctly. Jill takes each individual at his/her level and tries to improve breathing technique, posture, enunciation with style and phrasing, depending on the student's aspirations. Jill plays most instruments including piano, guitar, bass guitar, band instruments, ukulele, banjo, dulcimer, drums, percussion, harmonica, trumpet, clarinet, recorder, mandolin and violin. Jill enjoys many styles of music and she has played with many bands and groups throughout her musical career. She is a full time musician, music teacher and music director. Years of experience traveling the U.S. And Bahamas with bands, choirs and ensembles enables Jill to work well with many styles of music including contemporary, rock, Christian, Broadway, classical, country, bluegrass, jazz and her favorite, blues. Sign up for five lessons today and you will not be disappointed. I am an adult student - actually, a grandmother, but I have watched her instruct children and thought she had a great rapport with them and an encouraging manner while still instructing and correcting. My 8-year old granddaughter doesn't practice as much as she should but still looks forward to going to her lessons every week. Miss Jill is very patient and encouraging. We highly recommend her. Eric comes from a family of musicians. He began guitar lessons at age five as the Beatles were invading the American music scene. Growing up in New Jersey, Eric performed in rock bands until becoming interested in classical guitar. With New York City only a short bus ride away, he spent as much time as possible in the city, studying guitar with Russian born Classical Guitarist, Dr. Alexander Bellow, and Jazz Legend "Bucky" Pizzarelli. During this time he attended recitals of such notables as Andre Segovia, Julian Bream and John Williams. Being immersed in this musical scene inspired him to make music his life. c performed in numerous Master Classes for internationally acclaimed artists such as Manuel Barrueco, Christopher Parkening, Oscar Ghiglia, Michael Lorimer, and Carlos Barbosa-Lima. Eric has taught guitar at the college level for over twenty years teaching on the music faculties of University of Central Florida, Rollins College, Stetson University, Bethune Cookman College, Florida Southern College, and St. Leo College. Eric's experience includes performances with rock groups, stage bands, folk groups, classical ensembles, jazz combos, Broadway shows, operas, solo recitals, and concerto appearances. Eric has appeared hundreds times at Disney and Sea World as well as other venues around Central Florida. Throughout the years he has had many unique experiences while performing, one of his favorites being the opportunity to play the MASH theme song for Alan Alda as well as other stars in attendance at a cast party for the show, Win, Lose or Draw at EPCOT Center. Although he enjoys performing, Eric considers teaching music to be highly gratifying. The importance of giving students a good foundation with the proper technique and performance skills cannot be underestimated. When a student can play a song from beginning to end with style and confidence you know you've given them a gift that will offer them enjoyment for the rest of their lives. If you're looking at this site, you're already on your way to becoming an AWESOME musician! Whether this is your first attempt at music lessons or you've been playing for a while and trying to improve your skills, I'm EXCITED about working with you. I am a professional music educator and performer that has a passion for music and teaching. I will gear each lesson to fit your musical interests and playing level while I encourage and motivate. My goal is to use proven teaching methods and a supportive learning environment to help you realize your musical potential, as well as having FUN while doing it. Fingerstyle- Classical, Fingerstyle Jazz, Folk, Celtic. Eric was very patient with me and that was important. He was also prepared and professional. I would recommend him to anyone that wants to learn to play an instrument. Eric has answered many of my concerns regarding technique and methods; as well as, inspired me to purse continuing classical guitar. He's patient, observant, and analytical providing important correction towards my improving. I was very pleased with my first lesson with Eric! He is knowledgeable, yet relaxed. Learning to read proper music as well as basic chords. Being able to learn to play with other instruments and groups. Orlando-based composer and guitarist Damien has made a name for himself as a writer of scores for film, theater and dance productions. ;A graduate of Music Composition at SUNY Purchase (New York) and Musicology at the University College of Dublin (Ireland). Years of touring internationally and score writing has given Damien the experience and work ethic to share his musical knowledge and abilities with others. Producing 4 cds and appearing on countless others' cds and compilations; Damien can share not only his musical/theoretical talents, but his experience in producing, recording, writing, and performing live. tarting from the beginning of what a student knows and moving forward step by step will only lead to perfection in their lessons. Having fun doing this, is the only way to keep a student focused and progressing. Enjoyment is the number one focus of Damien's lessons. If a student isn't enjoying and having fun with their lessons then they will not progress. I have private parking for my students, so they don't have to worry about parking, ever ! I have been taught, on a college level, of classical, jazz, ethnic musics. I specialize in guitar, theory, composition. I am quite pleased with Joshua's growth thus far! After playing his bass guitar with a start up teacher for 3 years, Joshua was ready for more. He needed someone new to push him to the next level. Not only is Damien perfecting Joshua's skills, but is introducing Joshua to music composition. I absolutely LOVE THAT!!! Thank you Damien because every time we visit, Joshua leaves with something new! FABULOUS INSTRUCTOR!!! Damien is extremely professional and does an excellent job explaining the fundamentals. As Albert Einstein said, "If you can't explain it simply, you don't understand it well enough." Damien has a way of explaining concepts so they are easily understood and retained, even for more complex subjects. Learned more about music in just an hour than I ever did in the past. I began learning mandolin several years ago and am proficient with chords and tunes. Classical or bluegrass style. I can teach sight reading music notation as well. I studied music at UCF (Orlando), focusing on classical and jazz guitar, but I also have years of experience playing rock, blues, folk, hip-hop, and musical theater on both guitar and drums. I have been teaching guitar, drums, and piano for about eight years to students of all ages. Music is what I'm passionate about and it's what I enjoy. I want to inspire that same passion into the hearts and minds of others. I am a laid-back teacher, fun, and I focus on the needs, abilities, and ambitions of the student. In turn, students must realize that learning an instrument takes a lot of work and dedication. One can't expect to learn very much if s/he only practices or thinks about the instrument during the lesson. If the student is willing to put some time into practicing, then I will help them go far! I have several guitars, a drum kit, djembe, mandolin, clarinet and full-size keyboard. Guitar: Classical, jazz, American or Irish folk, rock and pop; lead or rhythm. 1 lesson and he wants to go back so it is a win for me.. Gio is an educator and knowledgeable on many instruments. I have been playing mandolin since high school. Most of my mandolin background is in folk/bluegrass but I am nonetheless comfortable playing a great number of styles. I often use the Hal Leonard Mandolin method book alongside my own worksheets to help teach basic bluegrass melodies. I am overjoyed and grateful to say I have been playing music for more than half of my life. It has never stopped being the light in my day and now it is my hope to shed some of that light onto you or your child. I am a very friendly and fun teacher with a great deal of professionalism and patience, even more importantly I love teaching and music with a passion. ory that I knew how much I not only loved the thrill of playing music but the discovery of how it worked. With this experience I can show you or your child why learning an instrument can be not only an exciting experience but an interesting and enthralling one as well. I have been teaching music for over 7 years and have had the privilege of teaching children as young as 4 to adults in their late 80's. I am a very attentive teacher who can not only help get you moving in the right direction but keep you on that path until your are a self-sufficient musician. A level of musicianship that simply means you can learn whatever you want on your instrument on your own, whether it be for business, pleasure or for mere self-improvement. Through my own student career in private lessons I had the chance to study with graduates of the Musician's Institute (MI), the California Institute of the Arts (CAL Arts) and Berklee College of Music. This has provided me with an inside look into how and what each institute teaches, as well as a first hand look at the techniques and ideas that the great players from these remarkable schools have come to produce. My formal music education consists of 2 years at Pasadena City College where I obtained my general Associates Degree (much of the studies included music) and a semester at California State University Long Beach as a Jazz Guitar Performance Major. Additionally, I completed a great deal of California State University Long Beach's teaching credential program (focusing on the teaching of history/social studies), where I learned strategies and theories of how and what to teach my students - making me that much more knowledgable of my craft. At Pasadena City College I studied with jazz/classical guitarist, Ron Berman, who has played with such jazz greats as Herb Ellis and Jimmy Wyble. At Cal State Long Beach I studied with jazz guitarist Ron Eschete, a former teacher at MI who has toured with the likes of Ray Brown, John Dizzy Gillespie and Jim Hall. Most importantly I hope to show you or your child a new way to love and appreciate music. And to provide you with the ability and know-how to have the most fun on your instrument as possible. Throughout my lessons, I always encourage basic skills including scales, sight-reading and technical exercises. But what I hope to give all my students is a basic understanding of music and their instrument, providing them with a practical ability to navigate the vast world of music for a lifetime. Beyond these skills, I always have songs, styles and theory for you to work on but I am often more interested in what you as an individual want to learn on your instrument. Getting to learn concepts that you have chosen yourself will help encourage practice and will make the finished product all the more the rewarding. I can custom tailor a teaching curriculum and/or style for any of my students: we can focus on learning songs, learning to read, how to write music, how music works, and even how to play specific styles of music (including funk, rock, jazz, Latin, flamenco, classical, country and blues). I also self tailor my own worksheets and set weekly goals with my students to help encourage practice, understanding and progress. For students interested in more advanced concepts, I can also teach ear training, music theory, advanced jazz improvisation as well as advanced playing techniques. All this in a friendly and easy-going teaching environment. Located in my home garage, it is equipped with a small stage, an upright piano, an electric keyboard, a PA system, amplifiers, a drum set, a lap steel guitar, a pedal steel guitar, 2 cellos, multiple guitars, 3 mandolins, a dobro, a 5-string banjo, a 4-string tenor banjo, 2 ukuleles, 2 accordions and 2 electric basses. Styles: Jazz, Rock, Reggae, Metal, Funk, Progressive Rock, Classical, Folk, Bluegrass, Country, Various forms of Latin Music, Blues, and a few others. Instruments Beginner to Advanced: Drums, Accordion, Piano, Guitar, Mandolin, Cello, Banjo (5 String), Irish Tenor Banjo (4 String GDAE), Tenor Banjo (4 String CGDA), Electric Bass, Ukulele, Dobro, Lap Steel Guitar (6 String C6 Tuning), Slide Guitar, Pedal Steel Guitar (10 String E9 Tuning). Music Theory, Ear Training, Sight Reading, and Song Writing. I've had three banjo teachers over the past two and a half years. Judging by Jared's performance today, he's the best of the lot. The first banjo teacher expected too much too soon, and the second one started me out with the basics, as if I had never picked up a banjo before. Jared is starting our lessons at the right stage for where I am. He's patient and explains things well. If I had started with him two and a half years ago, I'd be a decent banjo player by now. Thanks, Jared!!!!! Mandolin lessons for people who want to learn classical music, bluegrass, folk or jazz. This instrument is so versatile there are so many types of music one can play. Students learn how to read charts, improvise, comp with chords as well as take lead solos. Concetta Abbate is a NYC based violinist, strings specialist and composer. She writes original art songs inspired by natural science, folk tales, poetry and everyday objects and sounds. She released her first solo album entitled Falling in Time in February 2015 on Waterbug Records. She was a visiting composer in residence at TAKT gallery in Berlin both in 2014 and 2016. In 2018 she co-composed a dance composition for the Wendy Osserman Dance Company. Concetta is most known for her collaborative work with poet Cornelius Eady (Kattywompus Press), musical instrument builder Skip La Plante, photographer Vera Comploj and Latin music band Inti and the Moon (Intiluna Records). and has received grants from the Rauschenberg Foundation, Department of Cultural Affairs, Brooklyn Arts Council, the Charles Mayer Foundation as well as The Roothbert Fund. She loves dogs, hiking, cooking and gardening! She tailors her private lessons to individual students goals and needs. Concetta is a great instructor - she has been willing to work with me to create a lesson plan that works for my schedule and my learning style. I would absolutely recommend Concetta for anyone looking to learn a musical instrument. Concetta was/terrific and extremely helpful and kind. Whether you want to play Bach, bluegrass, or learn jazz method I'll get you started on the right track with the right practice habits. Daniel teaches and performs classical, jazz, gypsy swing, traditional irish music, old time fiddle, bluegrass and country, blues, and rock and roll. Instruments included but not limited to: cello, violin, guitar, mandolin, ukulele and bass. Daniel graduated in 2007 with a cello performance degree from the Longy School of Music after attending the Berklee School in Boston. His 10 years of teaching experience are enriched by his ability to approach and perform a wide variety of musical styles on numerous instruments. He performs regularly with the San Diego hot band Gypsy Groove, and can also be seen at wineries and the occasional contradance. His private studio has included all abilities and ages from 4-93, and he continues to teach from his home in Encinitas, CA. nationally and performed with musical pioneers such as Darol Anger. His multi-talented background gives him a unique insight into teaching all stringed instruments. Super friendly guy, learned a lot at my first lesson and looking forward to my next lesson with him. Daniel really knows his stuff. I learned a lot today! I mainly teach bluegrass and celtic mandolin, as well as jazz. I don't currently offer classical mandolin lessons. Hey, I'm a full time musician from Utah. I play several instruments in several bands around the area. I have toured across the country, released a few cd's with different projects, and have been teaching lessons for about ten years. I love to compose new music, arrange old music, and help people improve their technical and musical ability. I have played Mandolin for over 10 years and have taught in middle and high schools. I look forward to using what I have learned in the classroom to make you engaged in learning technique and theory so that you can make the music you want as only you can. Let me know when we can get started! Hi! Sam, here! I have taught Latin & Greek for years and have played music for pretty much my whole life. The majority of my musical experience is in Bluegrass and folk settings, but I can also read music and teach you standard musical theory. I earned a BA in Classics - Latin & Greek Literature from Brooklyn College in 2015 and have been teaching classical languages and history in middle and high school classrooms since then. I would love to use my experience as a teacher to make sure you're engaged and having fun from day one! Sam Brown is patient, knowledgeable, delightful, and finds the correct lessons to suit your needs and help you form your playing style. He can teach all bluegrass instruments. Singing too! Great teacher! I have taken lessons in Ancient Greek with Sam for eight months. He is an excellent teacher who is patient, helpful, and encouraging. He brings not only a thorough Knowledge of Greek but also of Latin. If I had more time, I would add Latin to the classes I take with him. I highly recommend him to anyone interested in studying classical languages. Can't find a teacher in Casselberry, FL?